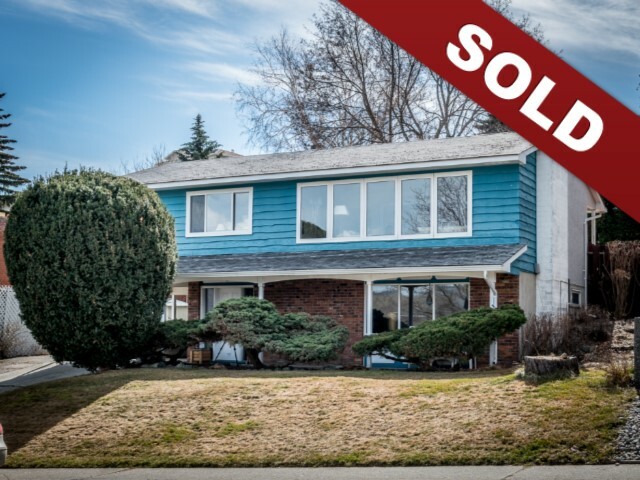 New Listing: 295 Greenstone Drive, Sahali, Kamloops, BC $534,900. Centrally located Sahali home with a number of updates and a lovely view. This home features 3 bedrooms on the main floor, an open floor plan, a fully updated 4 piece main bathroom and 2 piece ensuite. The updates include some main floor windows, hardwood flooring, kitchen, paint, bathrooms on the main and more. The dining room walks out to a large entertainment sized deck that opens onto the spacious back yard. The basement level has a large family room, fourth bedroom, 2 piece bathroom, laundry and large storage room. There are also 2 gas fireplaces. Single carport and room for a small RV or second vehicle beside the carport.